Theatremakers in Hull are hailing the birth of “something special” in the city’s performing arts scene, as demonstrated by a particularly strong showing at this year’s Edinburgh Festival Fringe. The combination of investment from its UK City of Culture status, the Arts Council looking to fund the regions and the affordability of living in Hull has sparked a revival in its theatre, cultural figures say. Work from the city has been hailed at this year’s fringe. Four Hull-based theatre companies have travelled 250 miles north with an eclectic, exciting programme of shows and have been hailed as a result. Middle Child Theatre has been making a racket in Summerhall with its new gig-theatre piece All We Ever Wanted Was Everything. Written by Luke Barnes, the show tracks the lives of two Hull-born millennials, jumping from 1987, to 1997, to 2007, to 2017 in a raucous whirlwind of pop music, poetry and politics. Marc Graham, who narrates the action throughout, earned The Stage Edinburgh Award for his blistering, boundary-breaking performance. Over at Pleasance Courtyard, Bellow Theatre’s Bare Skin on Briny Waters and Silent Uproar’s A Super Happy Story (About Feeling Super Sad) have also won plaudits. The former, created by Tabitha Mortiboy and Maureen Lennon, is a soft, sensitive two-hander set on the east Yorkshire coast, exploring the lives of two women teetering on the edge. The latter is a moving cabaret musical, written by Rotterdam author Jon Brittain and directed by Alex Mitchell. It’s a show that does what it says on the tin: cheerily and chirpily tackles depression with a smile on its face and a song in its heart. There’s more to come, too. Pub Corner Poets, who’s first show Angry won author Josh Overton the 2015 Sunday Times Playwriting award, returns this week for a short run at Paradise in the Vault with its new show Sad Little Man. What’s behind this surge of stellar work from Hull? According to Middle Child artistic director Paul Smith, it’s down to a number of factors: the nature of Hull University’s drama course, the relative affordability of living and working in the city and the investment provided by City of Culture 2017 to name three. “The circumstances are great for Hull right now,” Smith explains. 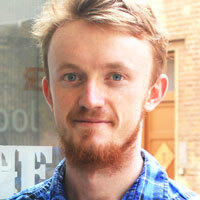 “It’s a cheap place to live and make work, so it’s possible to run a sustainable theatre company. Plus the Arts Council is looking to invest regionally. It feels like we’re at the right place at the right time. It’s an effective approach. Shows from Hull have been among the most discussed at this year’s festival. There’s a palpable buzz about the city. But beyond Edinburgh, the challenge for Middle Child, which was recently granted national portfolio organisation status, and for the other Hull-based companies, is to ensure that this wave of new work doesn’t die out. 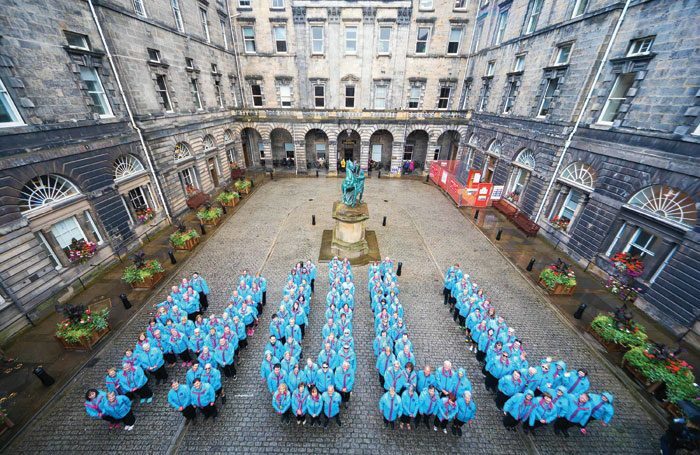 They want to make sure Hull’s year in the limelight installs a lasting legacy.